Michigan gets high marks from some experts on how it reports its billions of dollars in tax breaks to taxpayers and policy-makers. But it and most other states don’t adequately review the effectiveness of their tax credits, deductions and exemptions, known collectively as tax expenditures, experts say. That’s because tax expenditures in most states, like Michigan, exceed appropriations from their state budgets. These expenditures are, in essence, another form of state spending. The CBPP report said states spend “tens, maybe hundreds of billions of dollars” a year in tax expenditures. But exactly how much money states are spending through credits, deductions and exemptions is unclear, Leachman said. Although most states publish tax expenditures reports, many are incomplete. Ten states omitted major taxes from their expenditure reports and six others failed to publish a report every two years, according to the CBPP study. The study found that seven states — Alabama, Alaska, Indiana, Nevada, New Mexico, South Dakota and Wyoming — did not produce regular tax expenditure reports. Michigan was praised by the CBPP for preparing its tax expenditure reports as part of its regular budget. The state also received high marks for reporting expenditures by program and comparing them to direct expenditures in the state budget. The Legislature passed a law in 1979, requiring the state Treasury Department to produce an annual report on tax expenditures. The reports are online. But experts say Michigan and most states do a poor job of evaluating the effectiveness of tax expenditures, particularly those related to economic development incentives. A Pew study last year ranked Michigan among 12 states it said had “mixed results” in assessing the value of economic development tax incentives. Michigan replaced its business tax credit program last year with grants and loans funded by state appropriations. But the state has not done an evaluation of the effectiveness of the new program. 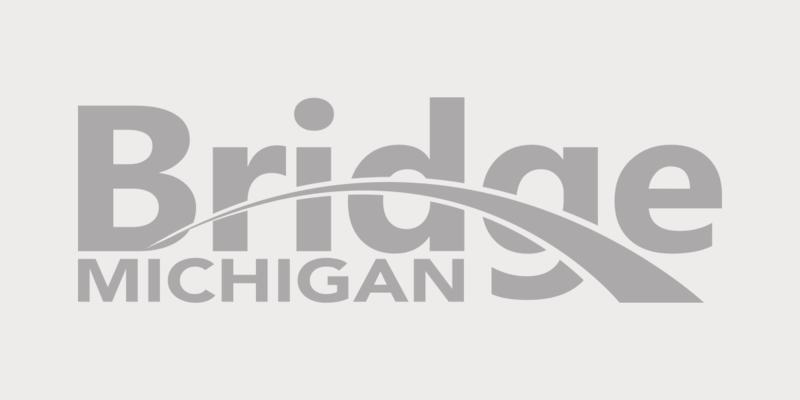 While Michigan has shifted its economic incentives program from tax credits to a grant program, it still has more than $ 1 billion worth of business tax credits outstanding from the Michigan Economic Growth Authority program. Michigan has subsidized more “megadeals”— projects that cost state and local governments at least $75 million each — than almost any other state over the past 35 years, according to a new study by Good Jobs First, which tracks state economic development subsidies. About $6.4 billion of Michigan’s tax expenditure spending went to just three companies — General Motors Co., Ford Motor Co. and Chrysler Group LLC, according to the Good Jobs First report. The tax expenditures were largely for investment projects and were designed to keep the automakers from leaving the state. They are still collecting benefits from those tax breaks. But the companies have collectively shed hundreds of thousands of jobs over the past three decades. Michigan’s experience shows states need to do a better job of ensuring that their spending from tax expenditures is effective, experts say. Oregon’s economic development tax credits sunset every six years, requiring action from that state’s legislature to extend them. And Iowa puts caps on certain credits. Some say those measures, plus a periodic, thorough analysis of tax expenditures should be done to ensure that taxpayers’ money is being spent wisely. *Bean is a member of the Bridge Board of Advisers. "The tax expenditures were largely for investment projects and were designed to keep the automakers from leaving the state. They are still collecting benefits from those tax breaks. But the companies have collectively shed hundreds of thousands of jobs over the past three decades." Keeping automakers from leaving the state and shedding jobs are separate issues. The auto companies were going to shed jobs in any case in order to become profitable. The remaining question is whether they were going to stay in Michigan. If the $6.4 billion in tax expenditure resulted in a 100% probability they would remain in Michigan, then the tax expenditure was a good investment. If the money made no difference in the probability of their staying, then it was not.. The actual change in probability was a judgment call whose value we cannot be sure of. Rick, again, good job. We measure these things...at least via estimates because we never really know the amounts foregone, and we rarely if ever follow up to see if promised jobs and investments are actually made. I've sure the tax credits etc for auto plants slowed the overall shrinkage of the companies, which did help us in Michigan, but even this was part of what the Center for Automotive Research (CAR) at U of M described as a strategy of "retreat to the core" for the companies as they shortened supply lines and reduced transportation costs as they shed models and old plants. We really never will know what would have happended without tax breaks...maybe less, maybe the same becuase we have steadily reduced taxes--especially business taxes for decades. The fact that politicians are not grandstanding about how effective the tax breaks are in helping the economy probably says a lot and it is not as if the information couldn't be figured out.